Since 2011, all Union members within the Core Public Administration are eligible to participate in the Joint Learning Progra (JLP). JLP has organized its learning events as workshops rather than courses. Workshops are generally understood to be short in length, focused on a single theme, and to provide a hands-on learning experience. The workshops are designed using the principles of experiential and popular education. In addition to providing knowledge related to the topic, every workshop creates opportunities for Union members and their management counterparts to engage in a dialogue that fosters better relations in the workplace. The JLP offers workshops in seven areas: Creating a Harassment-Free Workplace (not available pending updates), Duty to Accommodate, Employment Equity, Labour-Management Consultation, Mental Health in the Workplace, Respecting Differences/Anti-Discrimination and Understanding the Collective Agreement. JLP workshops are a partnership between the JLP, the bargaining agent representatives, and the organization where the workshop is held. Both the Union and management representatives in the organization, or their delegates, organize the workshop in the workplace. The JLP approves the date, provides funding and approves a budget, and assigns facilitators to the workshop. The departmental organizers are responsible for finding a suitable location, ordering refreshments (if applicable), finding participants, and liaising with the facilitators to provide the background information and support that they will need to deliver an effective workshop. (A detailed list of organizing tasks can be found in the Organizing a Workshop section of the website). We would like to observe a workshop before we request one for our department. Can we do that? It's not our usual practice to have observers at the workshops. The workshops are an opportunity for teams to engage in dialogue, so we think it is important that all participants in the room be actively engaged in the workshop activities. However, you could contact the Regional Field Coordinators (RFC) to discuss your needs and see how they might be accommodated. What is the process for organizing a workshop? The bargaining agent representative and the Employer representative submit a joint request by completing the online Workshop Request Form. The RFC for the region review the request. They may contact you for further information at this time. They may also approve the request with one of the dates submitted, suggest other dates, or decline the request. An email with the decision will be sent to the organizers. Once the workshop has been approved and the date confirmed, organizers can tentatively book the location for the workshop. Organizers submit a budget (using the JLP online budget tool). The RFC review the workshop budget and either approve it or request more information. The final budget approval is sent by email. Organizers should not commit to any expenditure until they receive budget approval. Once the budget has been approved, the workshop is posted on the JLP website and the facilitators within the region are notified of the new posting. Organizers receive an email with the names and contact information of the workshop facilitators. Organizers finalize logistical and administrative requirements for the workshop. Organizers recruit and register participants. Once the workshop has taken place, organizers confirm who attended the session and send all completed expense claims to the National Office. How are participants recruited and selected? Participants are identified by the organizers. Given that a key goal of joint learning is to improve union-management relations, learning groups consist of participants who usually work together within the same workplace. The design of the JLP learning kits is based on this premise and the kits contain exercises and opportunities for participants to build relationships, practice their problem solving skills or identify actions they can work on together to implement back in the workplace. How many participants are in each workshop and should they have 50/50 employer and employee balance? Because of the participatory methods, each learning group should not exceed 20 participants. For most workshops, it is not necessary to have equal employee-employer representation. The ideal is to have a mixture of staff, union supervisors and management representatives. 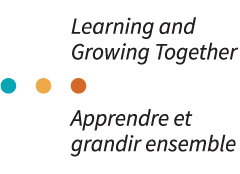 A strategic partnership is an agreement between the JLP, a department or agency, and a component or a local of the Public Service Alliance of Canada or another bargaining agent to deliver a specified number of workshops during a particular period of time. The agreement is written in a Memorandum of Understanding (MOU) which outlines the responsibilities of each party. When facilitators are selected to deliver workshops as part of an MOU, there is an expectation that they will deliver workshops within their home department / agency. In many cases, they are also made available for delivery within the broader JLP community. Are there any other limitations on participation? With the exception of Labour-Management Consultation and the second day of the Creating a Harassment-Free Workplace workshop, all our workshops are open to all Union members of the Core Public Administration and their management counterparts. Labour-Management Consultation has been designed for labour-management committees and participation is generally limited to the members of those committees. The second day of the Creating a Harassment-Free Workplace workshop has been designed for Union members and their management counterparts to work together to discuss ways in which the team or department can move forward to develop and implement harassment prevention strategies in the workplace. Because of this, participation in the second day is usually limited to Union members and their management counterparts.